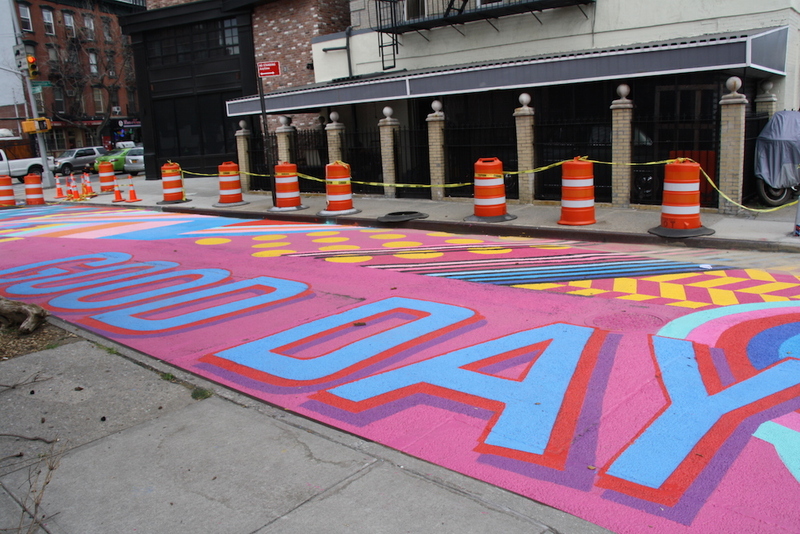 The 3,475-square-foot asphalt mural, created by artist Andrea von Bujdoss (known as “Queen Andrea”), reads “GOOD DAY” in vibrant letters, while technicolor designs light up the street. 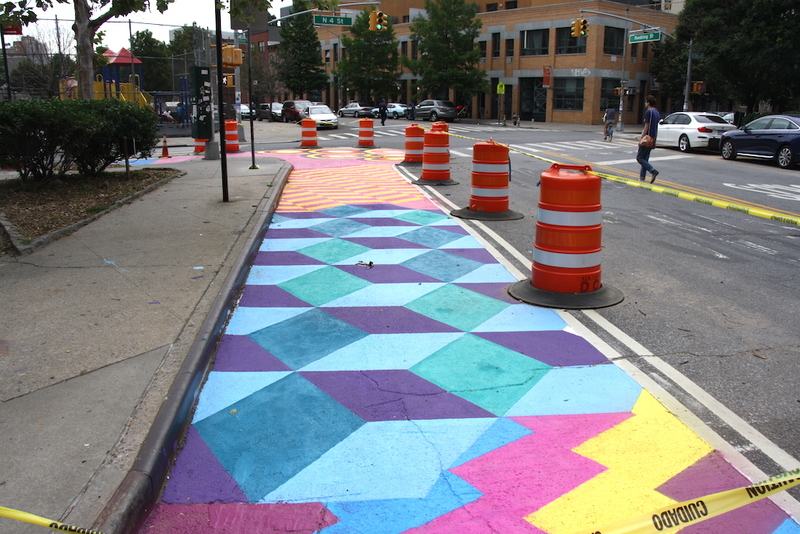 According to a DOT spokesperson, the project, which was inspired by “the diversity of New York City,” was completed earlier this week by Bujdoss and her assistants. 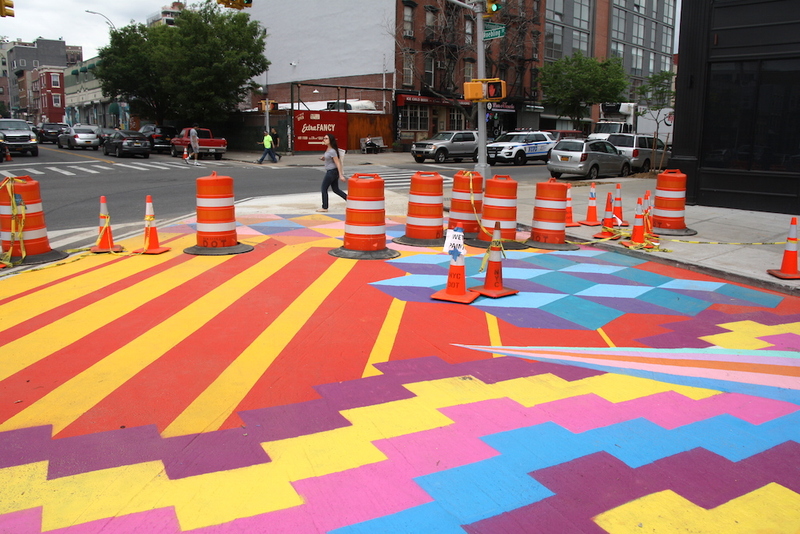 Bujdoss’ work is part of three “asphalt activations” that have occurred at Citi Bike stations as part of a broader DOT Art initiative, wherein the agency partners with artists and community organizations to create temporary public art all across the city. 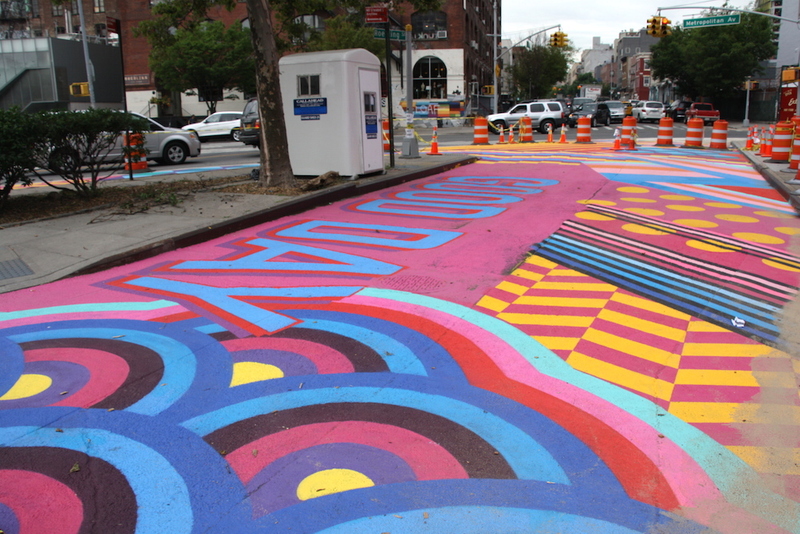 The works range from murals and the decoration of street barriers to light installations and sculptures. Public plazas, fences, bridges, public stairs, and sidewalks are all fair game. long the Williamsburg mural would last; presumably it’ll stay there until it’s washed away by the tears of broken city dwellers.